Melanie Flood Projects is pleased to present Home Theater, the first solo exhibition of photographs by Bradley Peters, curated by Amani Olu and third exhibition in this new art space. In his photographs, Peters attempts to understand the mysticism and complexities of his past through photographing strangers and members of his family in mundane scenarios, waiting for an emotional response from his subjects. In the resulting images, the artist captures his subjects in the tense, yet theatrical space that exists between the traditions of Henri Cartier-Bresson’s decisive moment and staged color narrative photography of Gregory Crewdson, Philip-Lorca diCorcia and their contemporaries. Bradley Peters was born in Columbus, Nebraska, in 1979. He received a BA from the University of Nebraska—Lincoln in 2004, with degrees in both Psychology and Art. 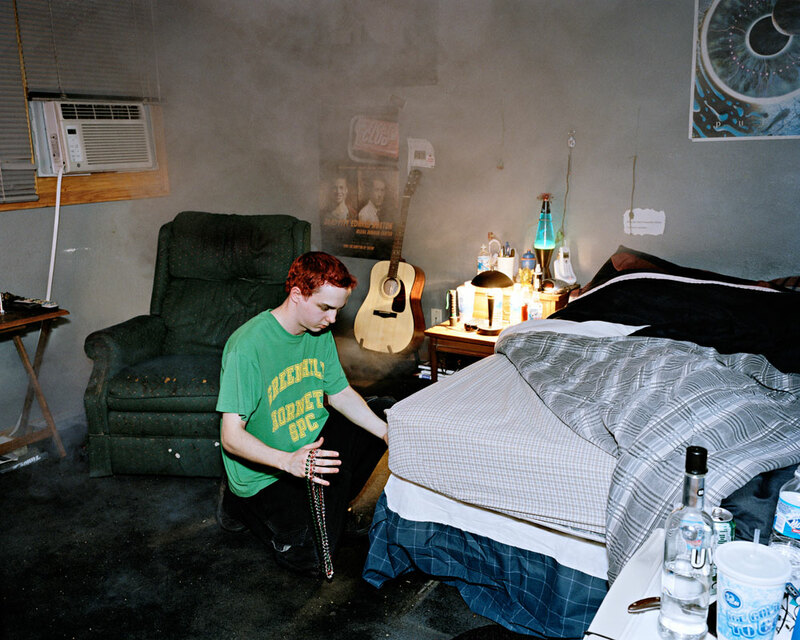 He is a 2008 graduate of the MFA program in Photography at the Yale University School of Art.